Residential property developer Villa World today announced its second land acquisition in as many months, taking advantage of sales momentum in the burgeoning Brisbane-Gold Coast corridor. The approved development site at Coomera is adjacent to Villa World's Parkside community and replenishes the company's project pipeline. Last month the Company announced a $30.7 million acquisition of a 25-hectare site at Arundel, also on the northern Gold Coast, where it will build new homes and town houses. The site has development approval for up to 484 dwellings. Villa World is also set to launch a 107-lot house and land project at Jacobs Well in early 2016. Managing Director and Chief Executive Officer Craig Treasure said the company's success in bringing developments to market quickly, combined with a mix of product and price-point offerings, was strengthening sales revenue. Villa World posted first-quarter 2016 sales figures of 90 per month, up from its strong second half 2015 sales of 82 per month and in line with its target range of 1,000 to 1,200 sales for the year. The company is on target to deliver seven new projects in 2016, with the 82 premium land lot Riva project, north of Brisbane, and 81 house-and-land lots at Ellabay, in the south-east at Redland Bay, recently released to the market. 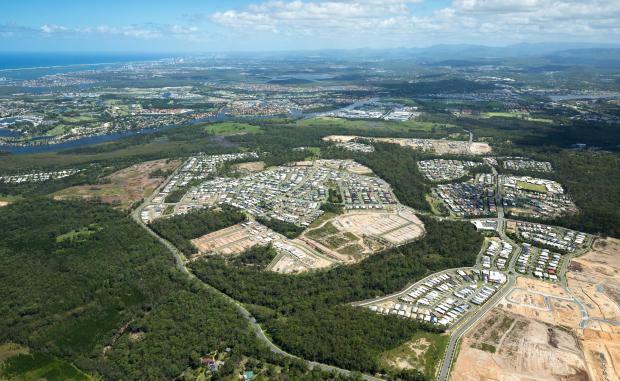 Villa World's latest 11.1 hectare, 71 lot purchase at Edwardson Drive, Coomera, is from Polaris Coomera, from which it bought the existing Parkside site last year. A price was not disclosed. Mr Treasure said Villa World remained well-capitalised and expected to spend between $135 million and $150 million on development acquisitions this financial year, including the Arundel and Coomera purchases. "We will continue to replenish our five-year project pipeline through strategic acquisitions in growth corridors, such as the Brisbane-Gold Coast strip," Mr Treasure said. He said the company expected a before tax profit of $40.5 million, subject to continued favourable market conditions. Villa World posted a $25.6 million after tax profit for 2015. In August, the company announced it had secured a long-date, staggered maturity debt financing deal with ANZ, adding further financial flexibility following its five-times over-subscribed capital raising earlier in the year.